I'm here to help. Take the next step and contact me for a consultation. Our Chatterbox Speech Therapy Team Is Here to Help! Speech Language & More, Inc.
Ana Gonzalez-Soldevilla is a speech-language pathologist in Miami, FL. Practice Type: • Home Health Agency - Client's Home Practice Areas: • Speech Language Pathology • Speech Therapy Take the next step and contact Ana Gonzalez-Soldevilla for a consultation in Miami, FL or to get more information. Michelle Pruss is a speech-language pathologist in Miami, FL. Practice Type: • Pediatric Hospital Practice Areas: • Speech Language Pathology • Speech Therapy Take the next step and contact Michelle Pruss for a consultation in Miami, FL or to get more information. Eddi-Ann Freeman is a speech-language pathologist in Miami, FL. 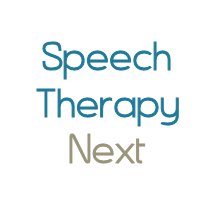 Practice Type: • Speech-Language Treatment Center/Clinic Practice Areas: • Speech Language Pathology • Aphasia • Apraxia • Swallowing disorders Take the next step and contact Eddi-Ann Freeman for a consultation in Miami, FL or to get more information.